In-company training courses are designed for a group of employees within an organisation. You can't follow these courses by yourself. 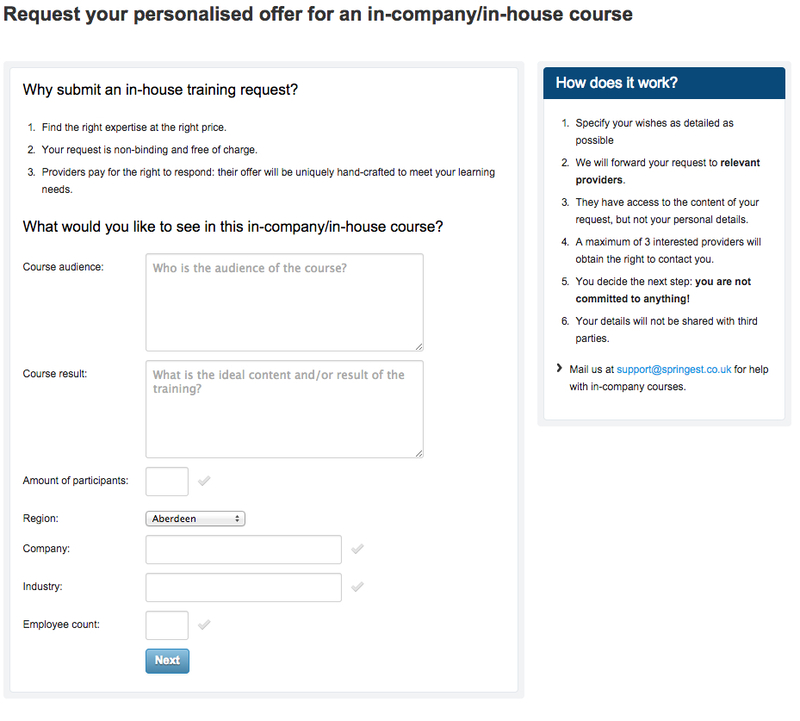 In-company courses are often adjusted to the needs of the organisation. Are you looking for an in-company training? Then do an open tender on Springest.